The Pentagon has authorized the redeployment of 250 active duty troops to the US-Mexico border as a response to the anticipated arrival of a new migrant caravan. The troops will be transferred from Arizona to the vicinity of the Eagle Pass point of entry in Texas. The repositioned forces include military police, medical staff, and engineers who will provide support to border agents at the Eagle Pass. The redeployment comes a day after US President Donald Trump slammed the migrant influx "flooding [US] Southern Border" and promised to build a "human wall" if necessary to stop it. During his State of the Union address on 6 February, Trump promised to find funding for security of the southern border, which will include not only a border wall, but also humanitarian assistance. In late January, reports arrived that a new migrant caravan had departed from Honduras and was heading for the US. 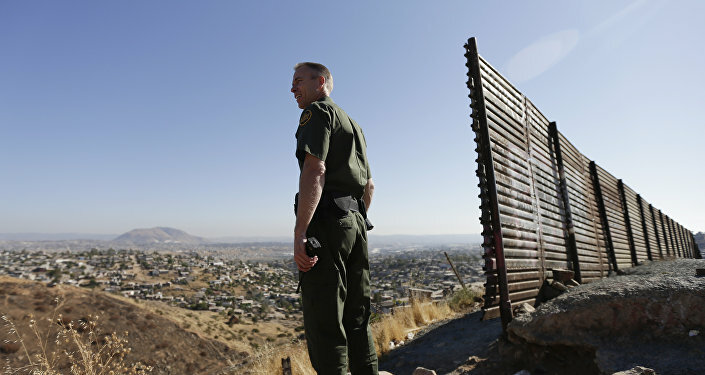 Several weeks later, Homeland Security Secretary Kirstjen Nielsen said that around 2,000 migrants had arrived in the town of Piedras Negras in northern Mexico, located near the Eagle Pass entry point at the US border. A previous caravan that arrived at the Mexican town of Tijuana last year was comprised of around 5,600 migrants. At one point, around 500 of them attempted to storm the US border, unwilling to follow regular entrance procedures and wait for their entrance applications to be approved. Trump has been struggling to obtain $5.7 billion in funding for the construction of the wall on the border with Mexico, which is intended to stop illegal immigration. The project has faced strong opposition from Democrats, who blocked a budget bill in a vote in the Senate, leading to the longest government shutdown in US history. On 25 January, Trump signed a temporary three-week budget to end the shutdown without receiving the $5.7 billion that he requested from Congress for a wall along the southern border. It expires on 15 February, but Trump and the Democrats have still not resolved the border wall impasse, which could lead to another shutdown.